Halloween sounds of horror stock audio - Creepy sounds, Haunted sounds, Ghost sounds, horror sounds, cinematic sounds, movie sounds, film sounds, and more! Halloween sounds of horror stock audio big collection of sounds for halloween movie sound effects. 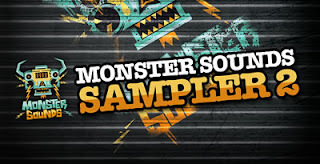 Halloween themes - samples and loops pack to download and use for your projects! 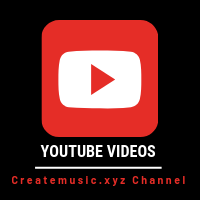 Halloween is coming and we need a nice sound stock library to use for our music making! It's time for candy, mayhem, and macabre! Get into the Halloween spirit with us! We' re proud to present our latest release "Halloween Themes" - a perfect resource of your next apocalyptic project!! 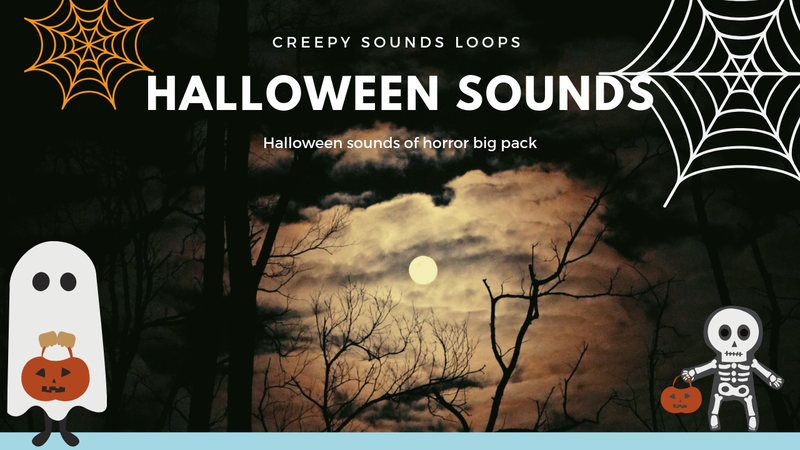 This pack contains 727 MB of content featuring 200 scary horrific halloween loops & samples that will make for a frightful and memorable Halloween party!! From mournful piano melodies to unreal and mysterious atmospheric pads, dark brooding transition arpeggios to raspy low cello drones, spooky orchestral music phrases to oozing with inky black textures, malevolent instrumentation to dark monster growls, bloodcurdling screams to slow motion beats, eerie FX to snarling beastly growling, filthy dirty howling to crying wolfs, lunatic laughs to wicked creature noises, caged beasts to rattling chains, sinister grins to creepy vox.. everything you need to create the perfect battle between the living and the undead!! 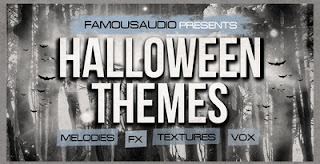 "Halloween Themes" includes, 40 Cinematic Fx, 20 Horror Textures, 13 Keys & Bell Loops, 41 Melody Loops, 25 Mystic Pads, 16 Orchestral Themes and 45 Vox. 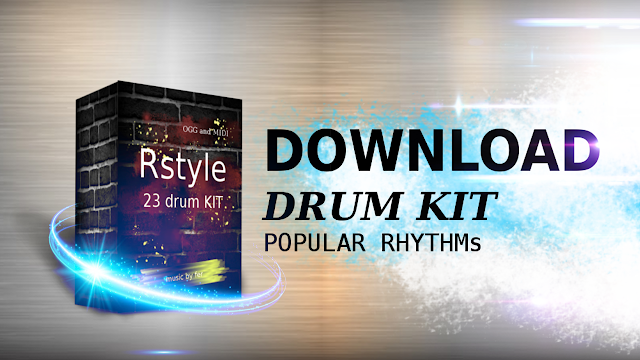 All loops are key and tempo-labelled also samples are key labelled for flexibility. This deadly pack comes from the depths of hell and covers a wide range of genres such as Electro-house, Complextro, Dubstep, Moombahcore, Glitch Hop, Trap, Drum N Bass and more. If you are looking to add some bite to your next production don't miss this one! Awaken to spooky sounds that will get you in the Halloween spirit! We dare you turn off the lights and listen to the demo track. Happy Halloween! Singomakers are very happy and…. 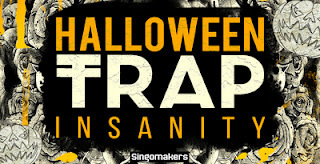 frightened, as 'Halloween Trap Insanity' is now available for download! 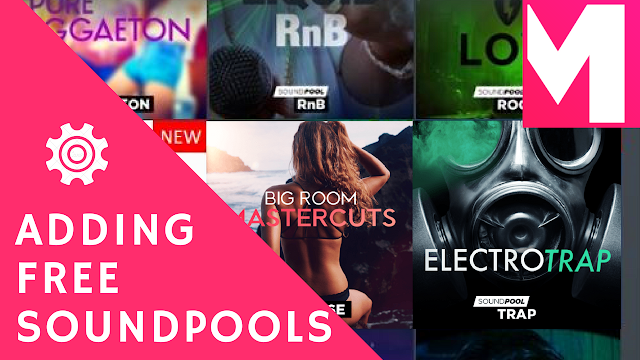 1.21 GB of essential tools for Trap, Trapstep, Twerk, Mainstage Trap, Hip Hop, Chill Trap, Dubstep and more! In this special edition release expect to find 1.21 Gb of brand new samples, including 210 One Shots, 40 Melody Loops, 110 Trap Beats, 30 Trap Lead Loops, 20 Bass Loops, 90 Midi Files, 12 Sampler Patches, 20 Vocal Loops, 10 Vocal Shouts, 80 SFX, 20 Sub Bass Loops, 20 VST Synth Patches (10 Massive, 10 Sylenth) and 240 Rex2 Files! Inspired by insane tracks from Yellow Claw, Diplo, Dj Snake, RL Grime, Bro Safari, Baauer, Carnage, Luminox, ƱZ, Flosstradamus, Major Lazer, Jack U, Skrillex, Dillon Francis and more! Check this insane demo and Trick or treat, everybody now! 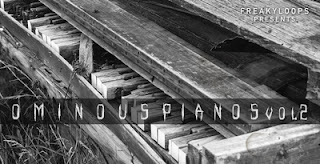 We are here again with the second instalment of ‘Ominous Pianos’ featuring 24 stunning midi files progressions, malicious melodies and creepy piano passages in both WAV and MIDI formats. Take a deep breath and get ready for the Ominous Pianos Vol 2!! This sinister sample pack gives you a unique and inspiring collection of dark, mysterious, suspenseful and thrilling piano sounds with cinematic flavours that will help you inspire to write your next ghostly project.. From mournful piano melodies to unreal and mysterious piano passages, dark brooding phrases to spooky progressions.. Everything you need to create dark and creepy parts on your projects and to reflect the spirit of Halloween! This brooding product is perfectly suited to anyone looking to add a dark and scary mood in their projects. 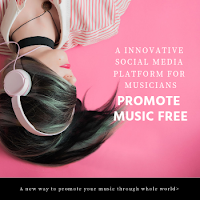 Suitable for use in any Cinematic Composition, Film Scores, Short-movie Scores, Trailers, Commercials, Documentaries, Advertising, World and Background music. 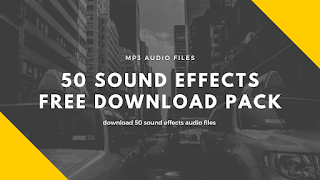 And also usable for any productions ranging from DnB to Dubstep, IDM to Ambient - this pack will give you the freedom to create instant cinematic moods, dark atmospheres and paranormal feeling in seconds.